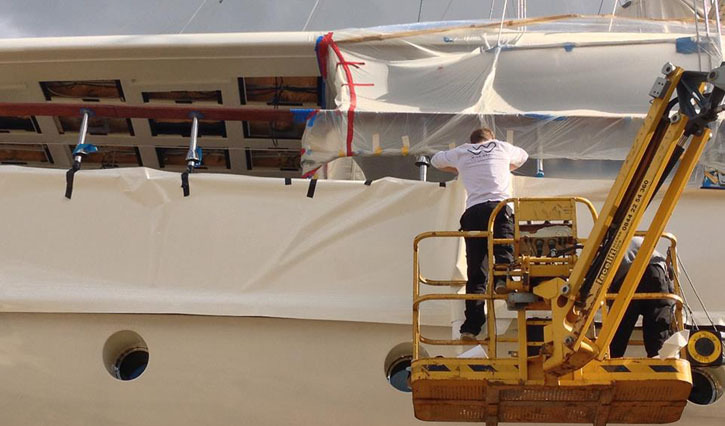 S/Y Montigne, 57m Sailing yacht receives a vinyl film application to full hull in preparation for Fort Lauderdale show. The vinyl was custom made and colour matched to oyster white. The job was completed in Solent Refit taking 4 guys 10 days to complete. 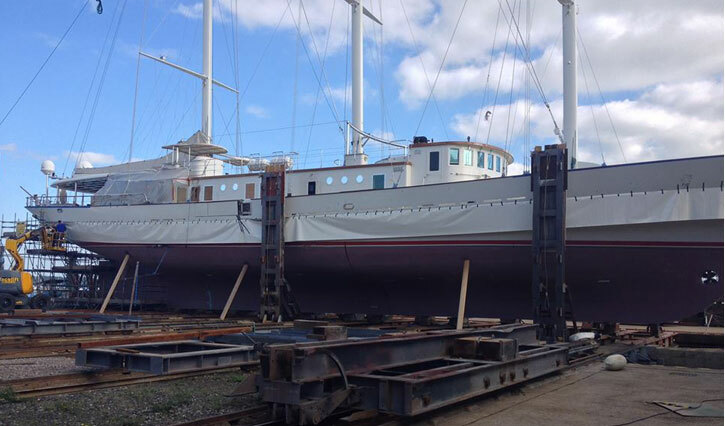 A fantastic finish allowing the boat to head to Fort lauderdale in time for the boat show. “Thank you for all of your work and making this all happen in what I know was a tight schedule. I obviously haven’t seen it yet but the crew tell me the wrap looks great…” comments from owners rep.